Vision correction refers to one of several methods used to improve blurred vision caused by refractive error. Some people need vision correction to correct a refractive error. A refractive error occurs when the eye doesn’t bend light correctly (refract) as it enters the eye, resulting in a blurred image. 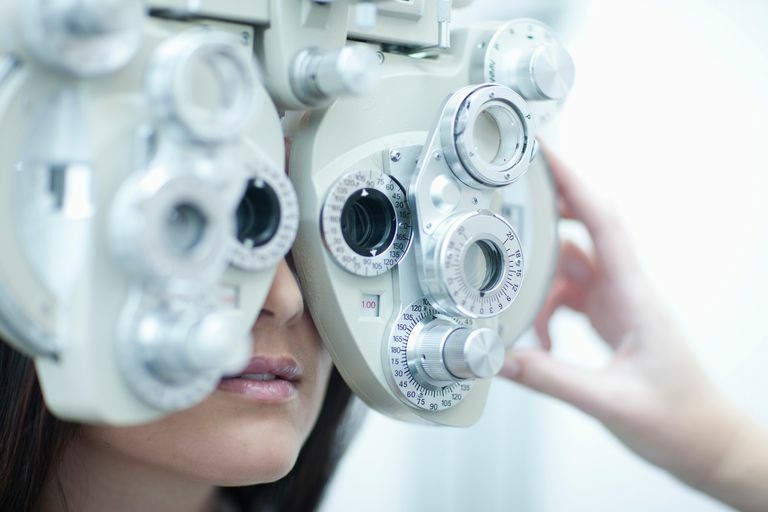 There are several disorders that involve refractive error. Nearsightedness or farsightedness occurs when the shape of the eye is abnormal. The eye is unable to bend (or refract) light properly, so vision is blurred. In simple terms, nearsightedness (myopia) is a condition in which points of light come into focus in front of the retina. In a sense, the eye is two powerful. To reduce this power so that the points of light come to focus exactly onto the retina, doctors prescribe minus or negative lenses. When the points of light fall exactly onto the retina, images are clear. People with nearsightedness tend to complain about vision being better at a near point and much blurrier at a distance. Farsightedness (hyperopia) is a condition where points of light come to focus behind the retina. As a result, the eye is not powerful enough. For farsightedness, doctors prescribe plus or positive lenses. Plus lenses give more power to the eye so that points of light focus directly onto the retina. Farsighted people tend to complain that vision is blurred at a near point but much better far away. When nearsightedness or farsightedness reaches higher amounts, all distances can become blurry so typical definition of these becomes a bit of a misnomer. Astigmatism is another example of a common refractive error. Astigmatism is a bit more complicated in that it is a disorder that tends to distort images rather than just make them appear blurry. With astigmatism, the eye may have one power in one meridian and 90 degrees away, have another power. Having astigmatism usually means that the cornea, the clear dome like structure on the front of the eye, is shaped more like a football, rather than a basketball. However, one can have internal astigmatism that arises from the internal lens of the eye. Astigmatism causes two points of focus that are not placed directly onto the retina. These two points of focus may both be in front of the retina, both behind the retina or one front and one behind the retina. Astigmatism can be a bit confusing but it can cause a rang of symptoms including blurred vision, distorted vision, slanted vision and double vision. The most common methods of vision correction are wearing eyeglasses or contact lenses. They help achieve clear vision by refocusing light rays on the retina, compensating for the shape of the eye. Refractive surgery is another vision correction option. During refractive surgery, such as LASIK, the eye's focusing ability is adjusted by reshaping the cornea (the front surface of the eye).